Alan Jeffreys is the author of Approach to Battle: Training the Indian Army during the Second World War (2017). He is the founding series editor of Helion’s ‘War and Military Culture in South Asia, 1757-1947’ and a senior curator at the Imperial War Museum. He is also a Visiting Research Fellow at the University of Greenwich and has been a Senior Research Fellow at the Centre of Armed Forces Historical Research, the United Service Institution of India. 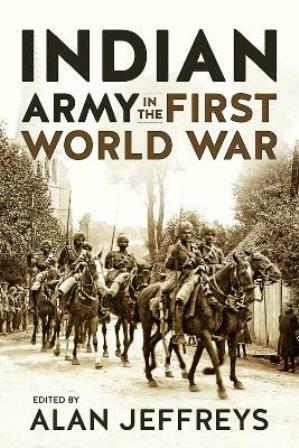 The book addresses the important global role of the Indian Army during the First World War. It is an academic reassessment of the army by both established and early career scholars of the Indian Army, as well as naval historians. It looks at the historiography of the army – taking into account the recent work on the army (particularly on the Western Front in 1914-1915). The edited volume covers the traditional areas of the Indian Army on the Western Front, in Palestine, Mesopotamia and the defence of the Suez Canal; however, there are also chapters on combined operations; Indian prisoners of war in Germany and Turkey; the expansion of the officer corps; and the Sikh experience, as well as the mobilization of the equine army at the beginning of the war and the demobilization of the army in the period from 1918 until 1923. Three additional chapters are related to the theme, such as the role of the Royal Indian Marine; the Territorial Army in India; and Churchill’s portrayal of the Indian Army during the Gallipoli campaign in his account The World Crisis. Published by Helion & Company in association with the United Service Institution of India 2018.